A story of obsessive young love and the power of grief, Ancient Light is the best novel yet from the Booker Prize winner of The Sea. 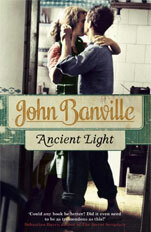 This is the official website of Irish writer John Banville. 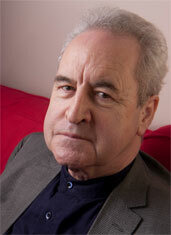 William John Banville was born in Wexford, Ireland, in 1945, the youngest of three siblings. He was educated at Christian Brothers schools and St Peter’s College, Wexford. The first episode of Quirke, the new three-part series based on the novels of Benjamin Black, aired on RTÉ last Sunday. The first episode, ‘Christine Falls’, starring Gabriel Byrne and Michael Gambon, is viewable on the RTÉ Player website for another three weeks at http://www.rte.ie/player/ie/show/10253585/. Letters 1960-1975 in the latest edition of The New York Review of Books. John was presented with the ‘Bob Hughes Lifetime Achievement Award’ on 26 November at the Bord Gáis Energy Irish Book Awards. Past recipients include Maeve Binchy, John McGahern, Edna O’Brien, William Trevor and Seamus Heaney. To mark the award’s announcement, John was interviewed by Sophie Gorman in the Irish Independent.